MASKerade: CASology 78 - Dot! 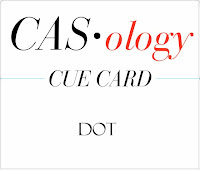 This week's CASology Cue Card is dot! I used a big dot from Neat & Tangled's set Everyday Circles. To add some pops of colour, I used a slightly larger circle mask over the dot to leave a clean frame around the black dot. Then I masked some very thin lines and sponged from the centre of the card out to the edge so that the colour fades out. Now it's your turn! Before you go, remember to check out all the inspiration from the DT members! This is just fabulous. I love the white space you left around your sentiment circle, and I have been wondering how you got those cool lines--so was happy to read your explanation. That is some impressive masking! I have trouble masking and sponging a large area without making a mess much less tiny little stripes like this. Awesome! 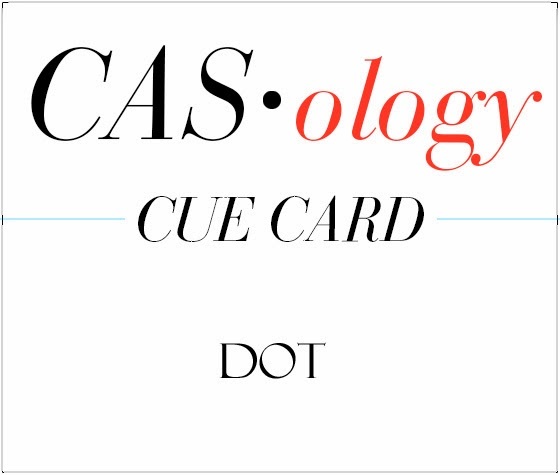 A very Ardyth take on this week's cue card! I bow down to you the master of clean and simple! Impressive and cool! Have to ask: is this a mini card? LOVE it!! Dang, Ardyth, you are the queen of masking, that's all I can say! Love this clean, graphic design...you are amazing, Ardyth!!! Incredibly simple and great card! Love it! I didn't understand the masking on your circle, but I LOVE YOUR graded lines!!! Why hasn't anyone done that before? Awesome, awesome detail. I have to CASE this card- I just love it. WOW - the masked lines are amazing! I was sure you used a marker and was in complete envy of your steady hand, until I read your post. Now, I'm in complete awe of your incredible masking technique and and how well you faded each ink line out so perfectly! Ardyth leave it to you to come up with something so unique and fantastic! 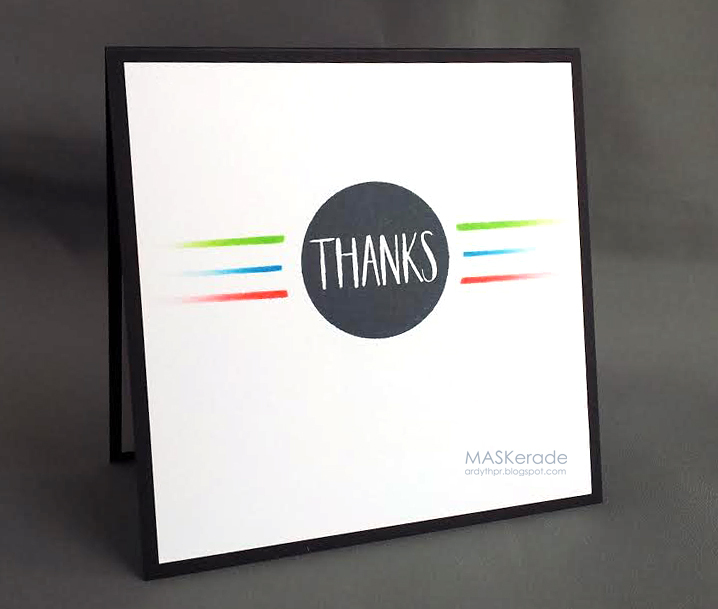 Now this is a "dot" card...love it!! !